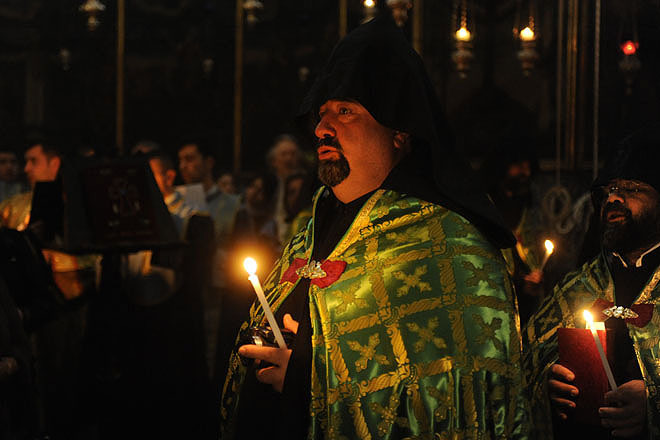 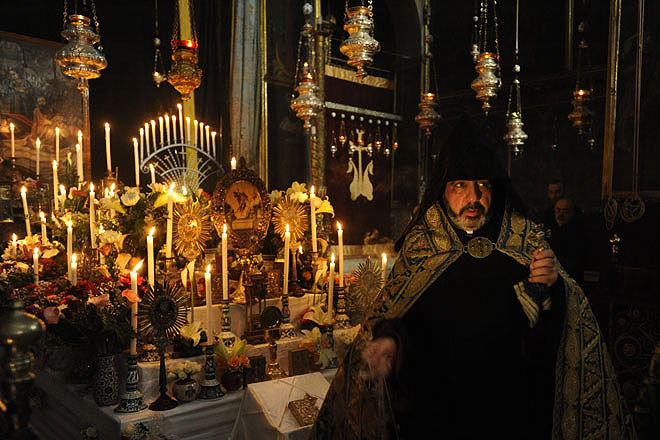 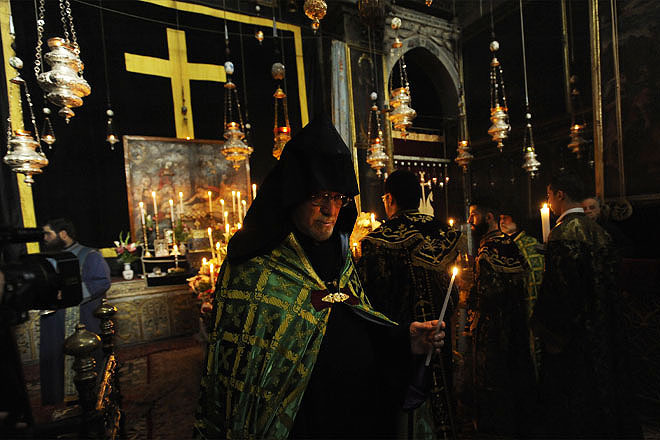 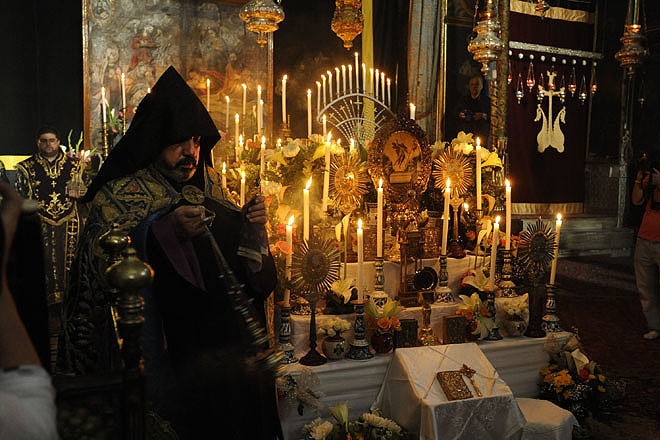 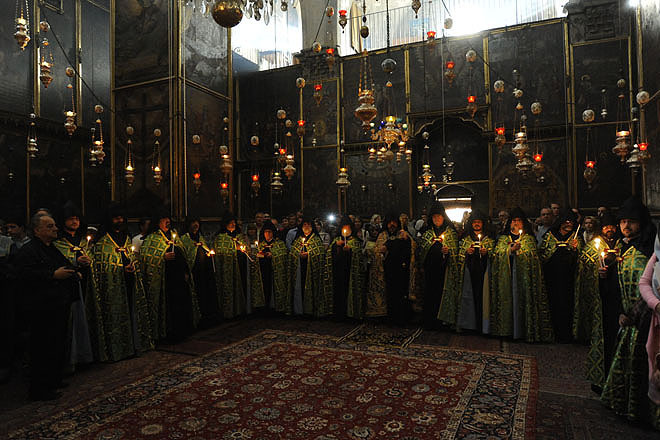 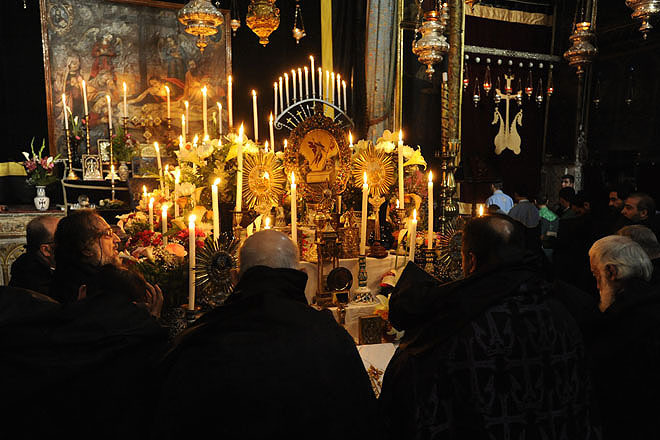 Good Friday solemn burial Service in St. James’ Armenian Cathedral. 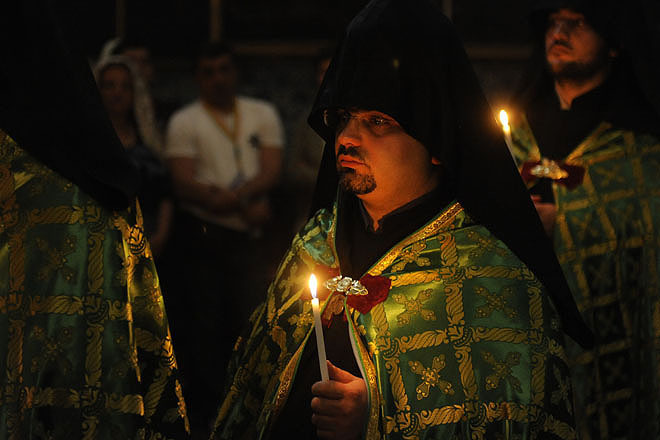 Procession at St. Mark’s Syrian Orthodox Church on Maundy Thursday. 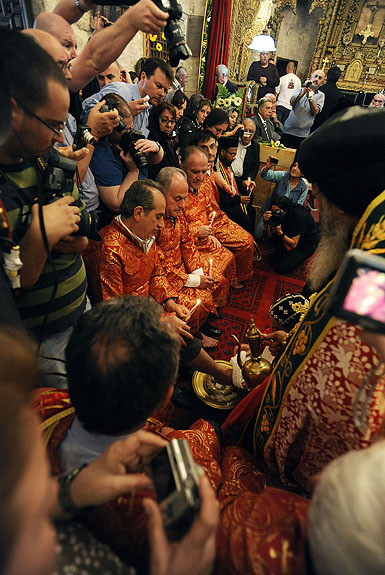 Washing of feet ceremony at St. Mark’s Syrian Orthodox Church on Maundy Thursday. 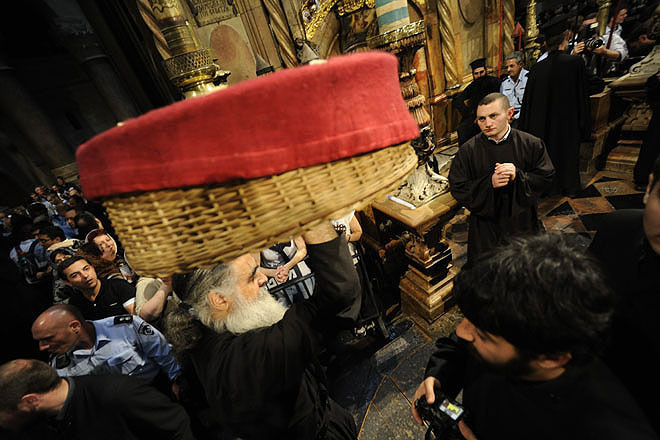 Orthodox procession round the Rotunda prior to the Holy Fire Ceremony in the Holy Sepulchre. 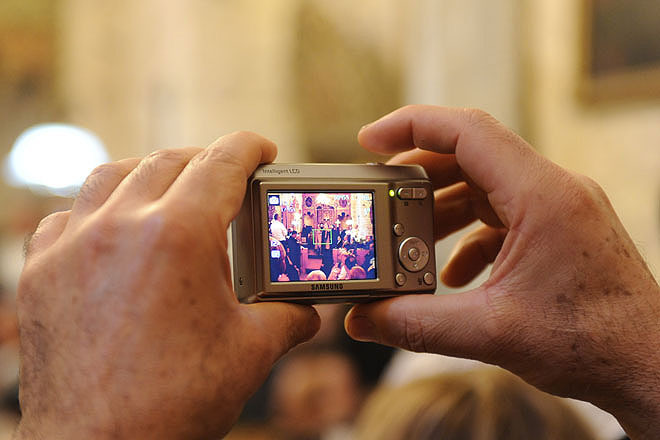 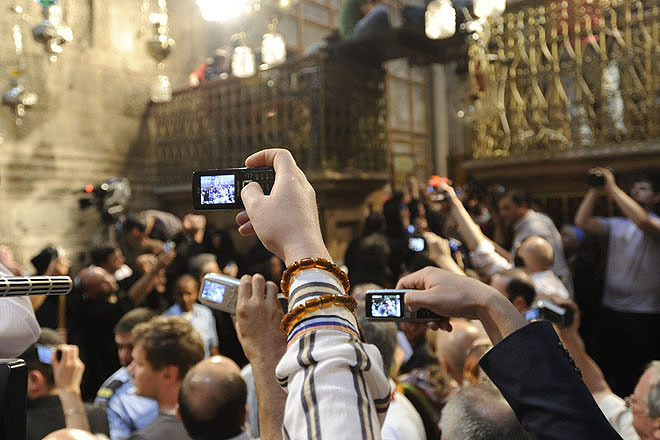 Pilgrims and tourists trying to take pictures of the orthodox procession round the Rotunda prior to the Holy Fire Ceremony in the Holy Sepulchre. 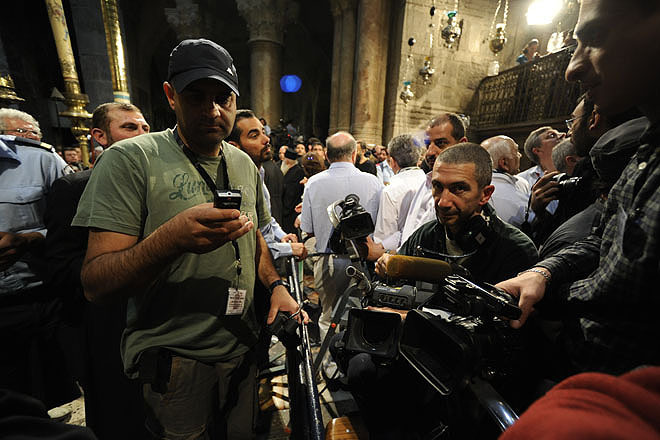 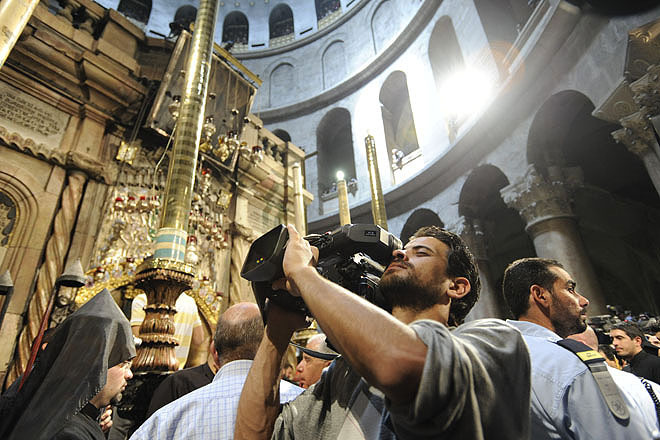 Media at the Holy Fire Ceremony in the Holy Sepulchre. 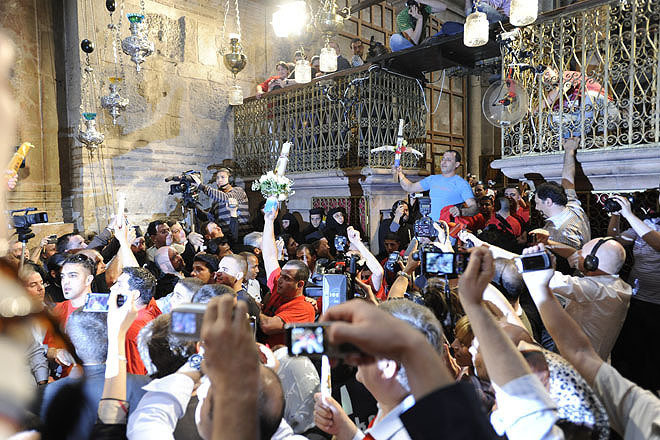 Clergy, pilgrims and visitors await the Holy Fire Ceremony in the Holy Sepulchre. 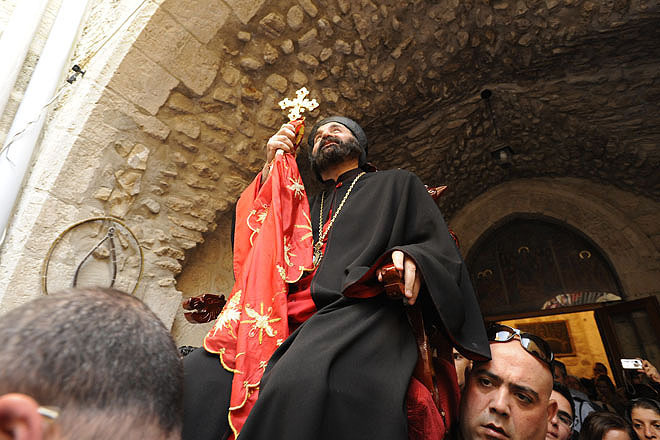 Pilgrim await the Holy Fire Ceremony in the Holy Sepulchre. 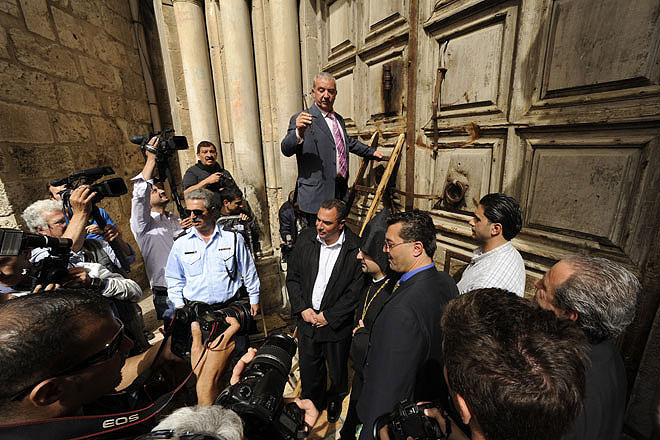 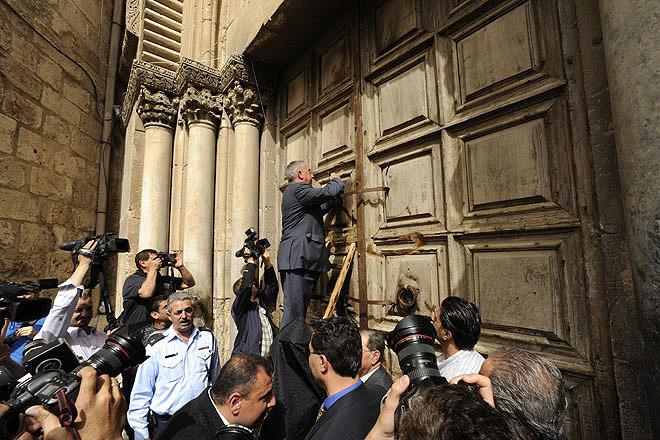 Opening of the door of the Holy Sepulchre by the Armenians prior to the Holy Fire Ceremony. 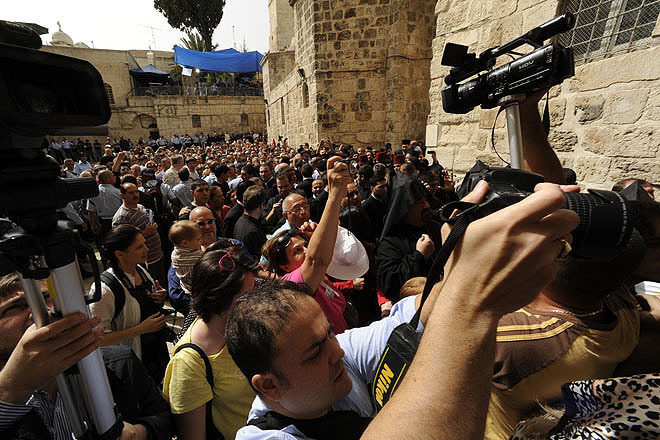 Pilgrims await the opening of the door of the Holy Sepulchre by the Armenians prior to the Holy Fire Ceremony. 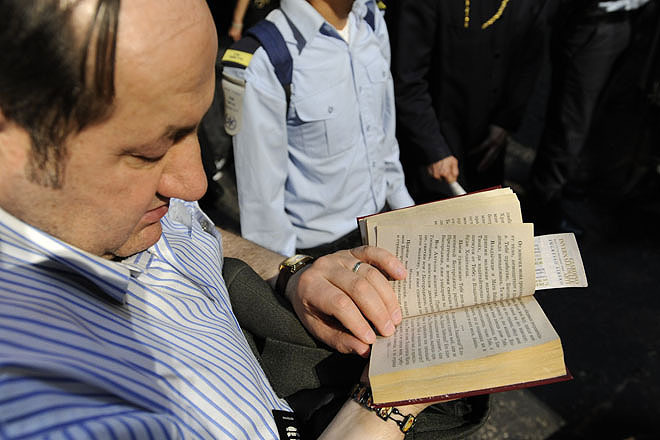 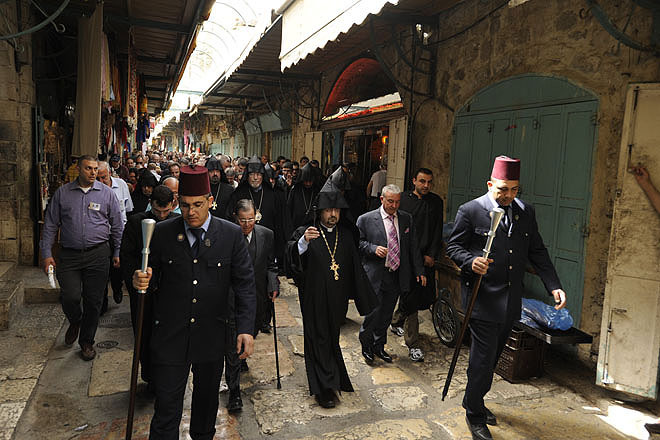 The Armenian community on the way to the Holy Fire Ceremony at the Holy Sepulchre.